Some people go through this every time they back out of the driveway and everytime they come home. If your driveway has a rolled curb, or the entrance is steep, your house sits on a hill, or if you just have a low-riding car in general, you probably experience this quite often. The good thing is, most of the time when your car scrapes it’s not as bad as it sounds. Most cars have protection i.e. skid plate, splash guard, or “big plastic protective thingy” to keep debris from entering from underneath the car and causing damage to the more critical components. The bad thing is, bottoming out can still cause a range of problems. 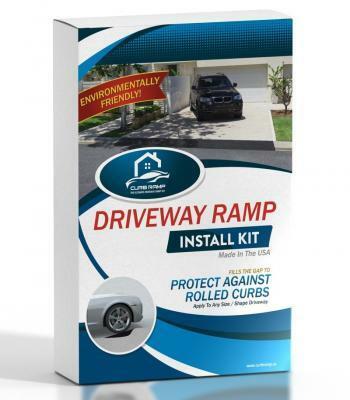 Add to this the sheer annoyance of bumping over your driveway curb day in and day out and worrying whether if it’s doing damage to your car and you’ve got a real problem!If you’ve experience these issues and are looking for an easy do-it-yourself solution to avoid expensive repairs caused by your rolled curb, we invite you to try Curb Ramp™ and enjoy the benefits of peace of car, and mind.